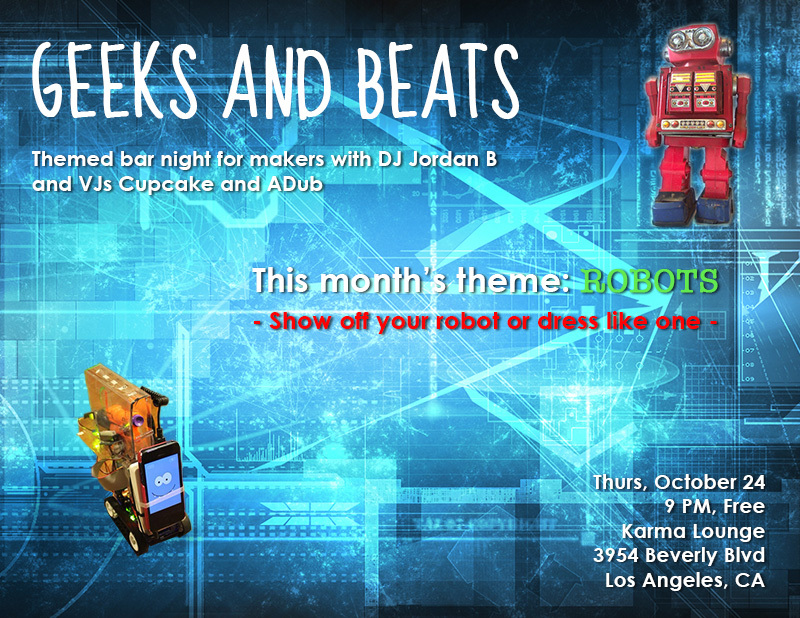 Geeks and Beats is a themed bar night for makers in Los Angeles. In September we had a wild time at our wearable tech meetup. 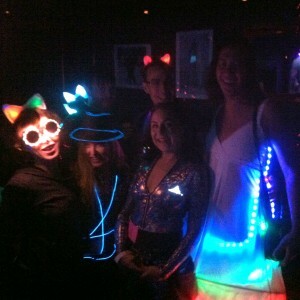 I DJed as Jordan B with guest DJ Magronic, with VJs Cupcake and ADub doing fashion-themed visuals. We had a lot of great folks from Crash Space, LA Makerspace, and Disorient show up wearing their wearable tech, which included wifi-synced light-up jackets and scarves. Our next event is on Thursday, October 24th 2013, and the theme is ROBOTS. Start working on your robots to show-and-tell at this event, or come dressed as one for the theme. I will be DJing again and VJs Cupcake and ADub will present robotic visuals. I’ll bring my Raspberry Jolt bot to let people shoot each other with nerf darts.